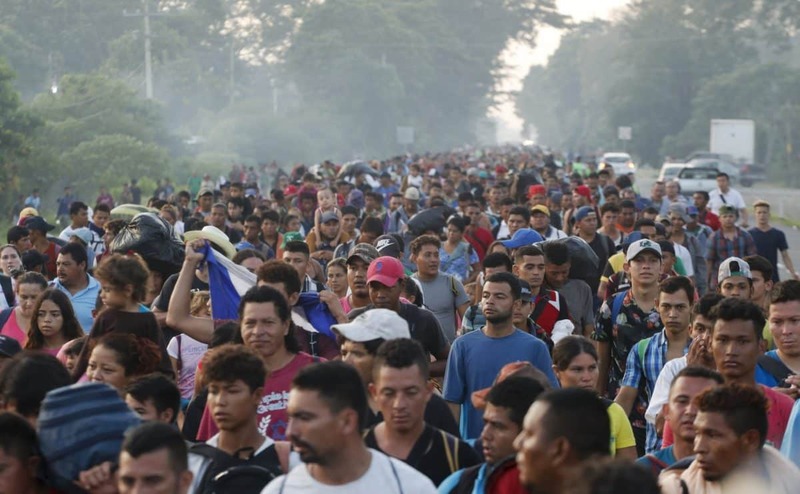 President Donald Trump issued a proclamation on Nov. 9 circumventing immigration law, saying anyone who crossed the southern border between official ports of entry would be ineligible for asylum. As the first of several caravans of migrants have started arriving at the U.S.-Mexico border, Trump said the restrictions were necessary to stop what he’s called a national security threat. He also sent thousands of active-duty troops to the border to back up immigration officials there. It was the latest legal challenge to thwart the Trump administration’s effort to harden the U.S.-Mexico border without Congress changing any laws, including an effort to try to detain migrant families in long-term facilities. Trump stopped family separations at the border earlier this year after a global outcry, but it was a federal judge who ruled the administration had to reunify the families. Associated Press journalists Jill Colvin and Colleen Long in Washington, D.C. contributed to this report.